Numerous architectural signs, landmarks and billboards are visible while driving. When you see a delicious hamburger on a billboard, chances are you imagine how wonderful it might taste. During popular holidays, there are many compelling advertisements on billboards. Upon seeing them, many of us think of families, lovers, and the need to go shopping. By placing your advertisement on a billboard, you are able to tap into these opportunities and build your sales! 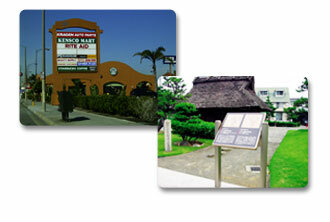 Architectural signs and landmarks can be used for many purposes. Company logo, product, services, address, phone number or name of a business can be used. 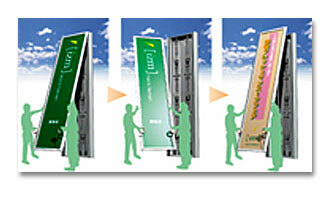 Most architectural signs are used of businesses to notify their customers of their office location. The letters used on architectural signs can be both flat and dimensional letters. See Dimensional letters for detail. 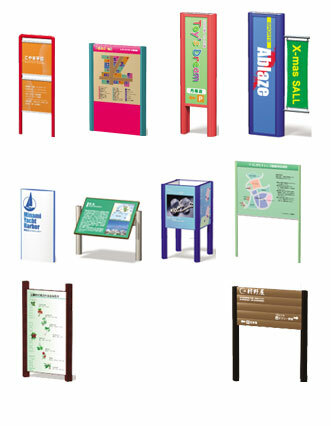 Landmarks are used for shopping centers, parks, amusement parks, hiking courses and office buildings. They can also be used for showing directions and maps. Landmarks help your customers find a way. By placing your advertisements on landmarks they have the advantage of withstanding time due to their strength and durability. Quick Signs is also able to offer extremely large light board signs which have the interior filled with halogen or neon lights. These signs look impressive in the day, but they look magnificent in the evening!